Nothing truly represents summer like bohemian fashion. Well, maybe a few other things might, but this trend definitely screams summer! And I absolutely love anything influenced by bohemian style. During this sunny season, I’ll only be wearing boho pieces! That boho-inspired sewn bag pattern? I’m taking it everywhere with me. That boho beaded bracelet? I’m showering with it until it’s winter. So, when I saw this Boho Crochet Wrap Pattern from Red Heart, I (obviously) fell in love. The crochet wrap’s geometric design and its bright blue color really stood out to me. And I decided that I needed to share this crochet wrap pattern with everyone! Just imagine how lovely this wrap pattern will look draped over your shoulders. If you’re spending a summer night outside, throw it over your shoulders for a lightweight yet warm clothing piece. If you’re looking for an airy shawl to complete your look, this crochet wrap pattern is absolutely perfect. And once summer is over, you won’t have to store it away in your attic or the back of your closet. You could wear this crochet wrap during the winter too. So, whatever you’re planning for your next crocheting project, forget about it because you need this crochet pattern in your life! Finished Size: 60 in. wide across top edge x 27.5 in. long (152.5 cm x 70 cm), excluding fringe. V-shaped shawl is worked from the bottom up. Row 1 (right side): Work 2 dc in 4th ch from hook (beginning skipped ch count as first dc here and throughout), turn—3 dc. Row 2: Ch 3 (counts as first dc here and throughout), 2 dc in first dc, dc in next dc, 3 dc in top of beginning ch, turn—7 dc. Row 3: Ch 4, 2 dc in 4th ch from hook, dc in each dc across to beginning ch, 3 dc in top of beginning ch, turn—12 dc. Row 4: Ch 4, 2 dc in 4th ch from hook, ch 5, skip next 5 dc, sc in next dc, ch 5, skip next 5 dc, 3 dc in top of beginning ch, turn—6 dc, 1 sc, and 2 ch-5 spaces. Row 5: Ch 3, 2 dc in first dc, dc in next dc, 3 dc in next dc, ch 3, dc in next sc, ch 3, 3 dc in next dc, dc in next dc, 3 dc in top of beginning ch, turn—15 dc and 2 ch-3 spaces. Row 6: Ch 4, 2 dc in 4th ch from hook, dc in next 6 dc, 3 dc in next dc, ch 1, skip next dc, 3 dc in next dc, dc in next 5 dc, 3 dc in top of beginning ch, turn—23 dc and 1 ch-1 space. Row 7: Ch 4, 2 dc in 4th ch from hook, *ch 5, skip next 5 dc, sc in next dc, ch 5*, 3 dc in next ch-1 space; repeat from * to *, skip next 5 dc, sc in next dc, ch 5, 3 dc in top of beginning ch, turn—9 dc, 2 sc, and 4 ch-5 spaces. Row 8: Ch 3, 2 dc in first dc, dc in next dc, *3 dc in next dc, ch 3, dc in next sc, ch 3, 3 dc in next dc, dc in next dc; repeat from * across, 3 dc in top of beginning ch, turn—23 dc and 4 ch-3 spaces. Row 9: Ch 4, 2 dc in 4th ch from hook, dc in next 6 dc, *3 dc in next dc, ch 1, skip next dc, 3 dc in next dc, dc in next 5 dc; repeat from * across, 3 dc in top of beginning ch, turn—34 dc and 2 ch-1 spaces. Row 10: Ch 4, 2 dc in 4th ch from hook, *ch 5, skip next 5 dc, sc in next dc, ch 5, 3 dc in next ch-1 space; repeat from * across to last 12 dc, skip next 5 dc, sc in next dc, ch 5, skip last 5 dc, 3 dc in top of beginning ch, turn—12 dc, 3 sc, and 6 ch-5 spaces. Rows 11–55: Repeat Rows 8–10 fifteen times—57 dc, 18 sc, and 21 ch-5 spaces. Rows 56 and 57: Repeat Rows 8 and 9—210 dc and 18 ch-1 spaces. At end of last row, do not turn or fasten off. Round 1 (right side): Ch 1, *working in ends of rows, evenly space 132 sc across long edge*; sc in opposite side of foundation ch (corner st); repeat from * to * once, ch 1, [picot in next dc, skip next dc] 6 times, **sc in next ch-1 space, [picot in next dc, skip next dc] 5 times, picot in next dc; repeat from ** across, ch 1; join with slip st in first sc—265 sc, 114 picots, and 2 ch-1 spaces. to * up other long edge; join with slip st in next ch-1 space; leave remaining sts unworked—132 sc, 132 ch-1 spaces and 1 picot. Fasten off. Weave in ends and block to finished measurements. For each fringe, cut 2 strands, each 18 in (45.5 cm) long. Fold strands in half to form a loop. Insert crochet hook from right side through any corner. Place fold on hook and draw fold through, forming a loop. Thread ends of strands through loop and pull to tighten. Repeat to attach fringe in other corners and in every ch-1 space across both long side edges of shawl. Knot again, about 1″ (2.5 cm) below top knot, using 2 strands from each of 2 adjacent tassels. For 2 top tassel ends, use all strands of end tassel plus half of strands of next tassel. Trim ends evenly. For more summer crochet patterns, check out this collection of 15+ Summer Scarf Patterns. 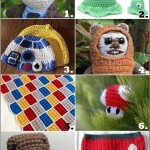 What patterns do you crochet during the summer? Calling this season “summer” would not suffice. Monsoon season is a lot more accurate. After the intense downpour this morning, the wet mornings, and wet nights for the past two months, I’m ready for some sun. But in the meantime, sweatshirts, coats, and homemade shawls are a must for those summer nights. It’s cool enough out that you need something to keep warm, but then again, it’s warm enough that you don’t want to pull out the fleece. Shawls are the perfect solution. They can be light-weight enough that you won’t feel suffocated; at the same time, they are warm enough to protect you from a cool breeze. Knit and crochet shawl patterns are a warm and fashionable way to achieve both warmth and lightness. These easy shawl patterns are some great ways to get creative with your shawl. 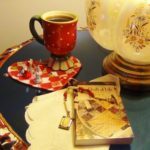 Whether you like to crochet or to knit, there is no competition as to which is better for these free crochet and free knitting patterns. Now, don’t you start thinking that you are “too-young” for a shawl or you “can’t use them anywhere else.” This is where you are very deceived! Instead of using a thick yarn, you can use a thinner yarn to make a lace-looking pattern and you can wear it out to a nice dinner or event to cover your shoulders. Use a wool yarn to make a thick, giant shawl for cozy winter evenings or as a holiday gift. What else do you use shawls for? Spring and summer are not far away (hopefully! ), but that doesn’t mean there won’t be a few cooler evenings scattered into the mix. If you’re planning an outdoor dinner party or are enjoying an outdoor music festival in the summer, chances are the weather will cool off quite a bit, and there’s no better way to keep warm without overheating than to use a lightweight shawl. These 13 Sensational Spring and Summer Shawls are perfect for those slightly cool evenings where it’s too warm for a jacket but too cool to go without a little sweater. With lots of designs and styles to choose from, these beautiful shawls are sure to suit outfits of all kinds, from everyday tee shirts and jeans to elegant summer weddings or concerts. These shawls are also super quick and easy to make. 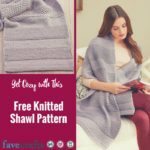 There are both knit and crocheted shawls in this collection, so no matter what your preference, there’s bound to be something you can make here. Shawls are also great for beginners since they often only require 1 skein of yarn and are made up of simple stitches that descend after each row. Have you ever made a shawl? If you’ve been hunting around for the perfect year-round shawl, you’ve found your destination. These knit and crochet shawl patterns are great for summer and winter and everything in between! So grab those needles and hooks and let’s get to work! Follow AllFreeKnitting’s board Ponchos, Capes, + Knit Shawl Pattern Ideas on Pinterest. No hook, no needles, no problem! We’ve teamed up with Lion Brand Yarn for a brand new free eBook, 17 Easy Crafts With Yarn: Make Accessories, Decor and More with Lion Brand Imagine Yarn. 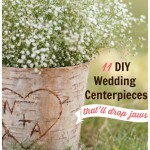 You might be thinking, “Oh boy, another free eBook from FaveCrafts. What else is new?” Well, believe it or not, this collection is unlike anything you’ve seen before. Lion Brand Imagine Yarn is completely unique – in many cases you don’t need a crochet hook or knitting needles to make lovely scarves or hats. The yarn is actually a tube, so you can simply unroll the skein and loop it around your neck or cover your head. Our latest free eBook features brand new, never-before-seen craft projects that everyone from beginners to experts will love. Kids can even get in on the fun, since many of the projects simply require a skein of yarn. Yes, you read that right – all you need is a single skein of yarn to make the wearables in this eBook. 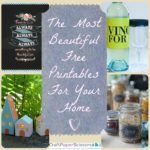 As an added bonus, we’ve thrown in a few of our favorite home decor projects that use Lion Brand Imagine Yarn. Create your own plant hangers, picture frames and more – there are so many quick and easy ways to craft with yarn! 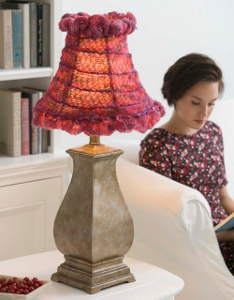 All you have to do is download a copy of 17 Easy Crafts With Yarn: Make Accessories, Decor and More with Lion Brand Imagine Yarn and you’ll be off on a yarn-filled crafting adventure! Foldover Cowl – Cowls are super popular right now and for good reason – they’re super easy to throw on when your heading out the door and they keep your neck warm despite frigid temperatures. 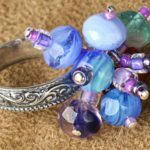 This project is so simple, you won’t believe that you haven’t tried it yet! Simply grab a skein of Lion Brand Imagine Yarn, unfold the tube and snip a 40-inch piece. Open the tube and slide it over your head – it doesn’t get must quicker than that! 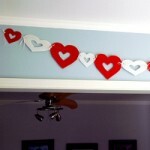 This is a great project idea for kids because it doesn’t require sharp objects or complicated stitches. This project serves as a fantastic method of introducing kids to yarn crafts. Make one before the winter chill sets in or create a bunch and give them out as holiday gifts. 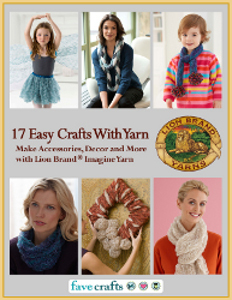 Download your copy of 17 Easy Crafts with Yarn: Make Accessories, Decor and More with Lion Brand Imagine Yarn today! AllFreeCrochet has come out with this great eBook 16 Free Crochet Shawl Patterns. Shawls are great to wear year-round no matter what season you’re in. You can use heavier yarn for the colder months and lighter yarn or lace for the spring and summer months. 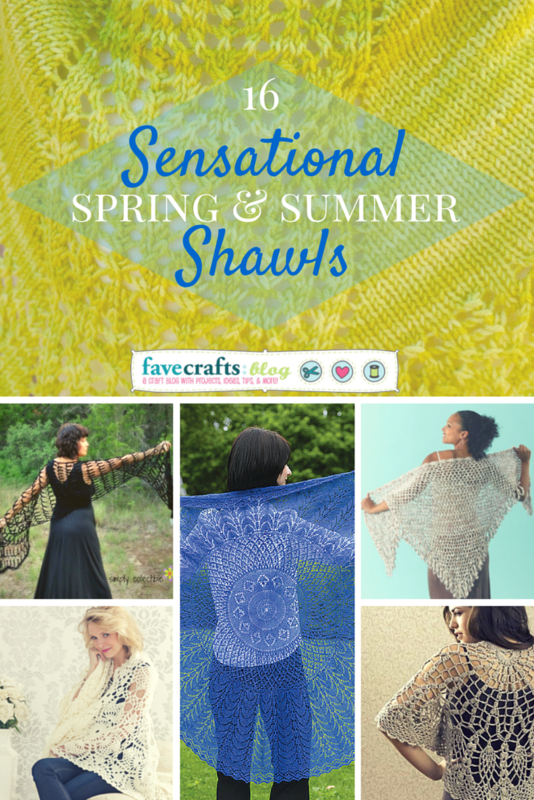 You’ll notice a summer shawl in this eBook along with a fun triangle shawl. 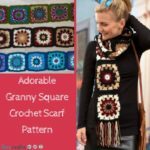 Free crochet patterns are always great to have around especially for shawls as these are really pretty. You can make shawls for not only yourself, but they make great gifts. 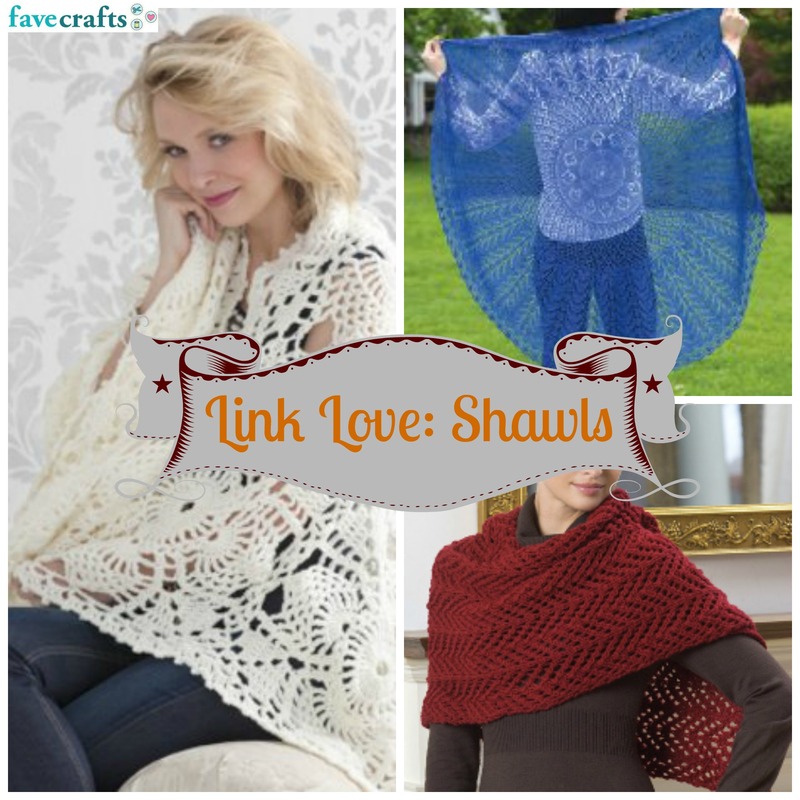 In this eBook you will find 16 great shawls, all of which would be perfect gifts. Download this eBook for free and find out what all the gossip is about. This week was H-O-T at the FaveCrafts offices! With summer in full swing, I don’t know what I’d rather do–head to the beach with a good book or hole up in the air conditioning with my trusty crochet hook. 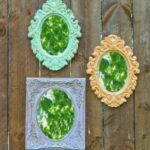 Here are some new projects on FaveCrafts this week that you can make indoors and wear out in the sun. Get ’em while the weather’s still hot! 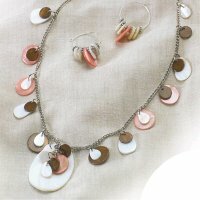 Shellz Necklace and Earrings: Wear this necklace to the beach and you’ll match the seashells you see on the seashore. 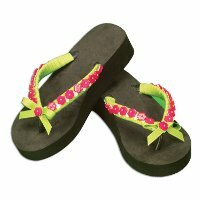 Embellished Flip Flops: Never leave the house with boring footwear again, at least not when you’re heading for the sand! What’s your favorite craft to do in the summer?